Waseem Rizvi said fundamental forces in Muslim community like Zakir Naik should join ISIS in Syria. they allegedly had no place in India. Rizvi, who visited Ayodhya and offered prayers at the makeshift temple at the disputed site and also met chief priest of the temple Acharya Satyendra Das, said fundamental forces in Muslim community like Zakir Naik should join ISIS in Syria. "People, who are opposing Ram temple at Janmabhoomi in Ayodhya and want to build Babri mosque should go to Pakistan and Bangladesh. 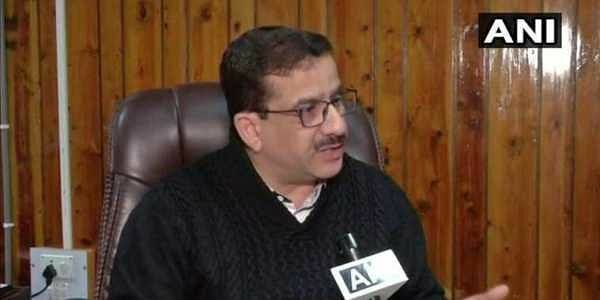 Such fundamental elements in Muslims community do not have a place in India," claimed the Shia Waqf Board chief while interacting with media persons. Notably, the Supreme Court is scheduled to commence hearing in Ramjanmabhoomi-Babri Masjid title suit from February 8, 2018. Yadav and the then urban development minister Azam Khan. “Now in BJP government, he wants to get pardoned for his previous deeds,” maintained the cleric. incendiary remarks against a community and vitiating the atmosphere.